Our handy range of buckets here at System Hygiene are perfect for a various range of tasks, available in plastic or stainless steel. Ideal for use in the food processing industry as this range of buckets are the solution for transporting large quantities of liquid foods. 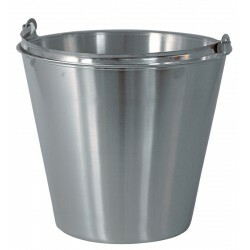 General purpose buckets such as these are a convenient product to have especially if you are in the food industry. Available in various sizes and can be used as part of a colour coded system. 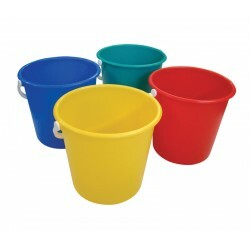 These high quality buckets are complete with easy grip handles and can be used in other environments such as hospitals.